For more than 50 years, groundskeepers, coaches and volunteers have relied on Turface Athletics® and Turface® products for field maintenance solutions that result in safer, playable fields. We offer the highest quality infield and turf conditioners, mound and plate packing clays, hands-on education and ongoing industry support, all backed by the best distributors in the business. "I have been a long time user of Turface conditioners because of the quality, consistency and high level of moisture management I get out of the particles. Our players count on an infield skin that plays predictably, game after game, and Turface helps me achieve that." Profile Greens Grade Helps Ravens Return to Natural Grass! 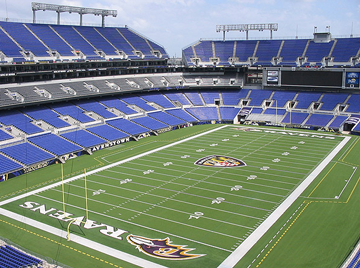 Detailing the comeback of natural grass at M&T Bank Stadium, home of the Baltimore Ravens. 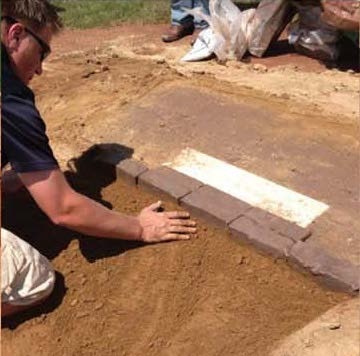 SportsField Management features tips from Turface on pitcher's mound maintenance, clay solutions and reconstruction. New line marker product from Turface – specially formulated blend of finely crushed white calcium carbonate (limestone). Learn about the newest color in the Pro League line of infield conditioners.